Shivery fall and winter always makes us far away from the chic molding, would like to try more but suffering from the limited of the collocation. How can we add some sparkle on the chucky outfit? 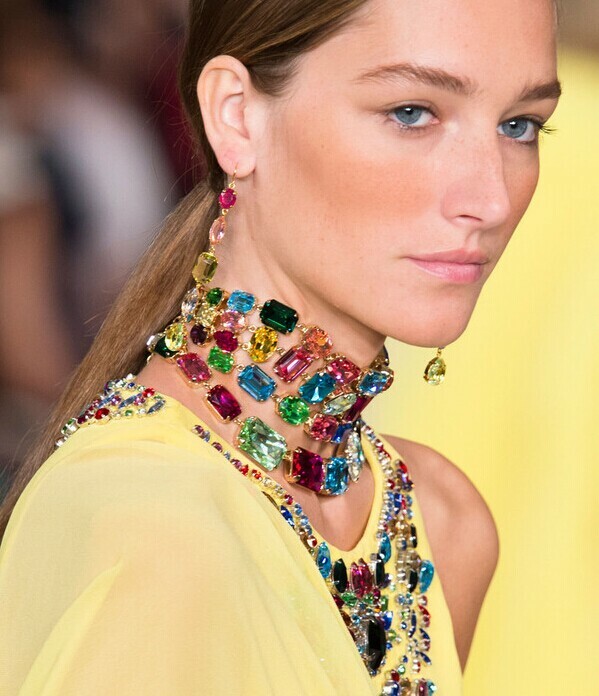 Which kind of the fashion accessories including the Statement Necklaces was spotted out on the fashion show? Scroll down to see if you want to look stylish, smart and get a few attention-grabbing. What could be more fun than wearing your favorite outfit and carrying around with the edgy jewelry the whole day? In point of fact, every fashionable girl should have the bold jewelry on the wardrobe, particular in the dark dull fall. It will add brilliance to your present splendor by converting the outfit into bright bold jewelry. 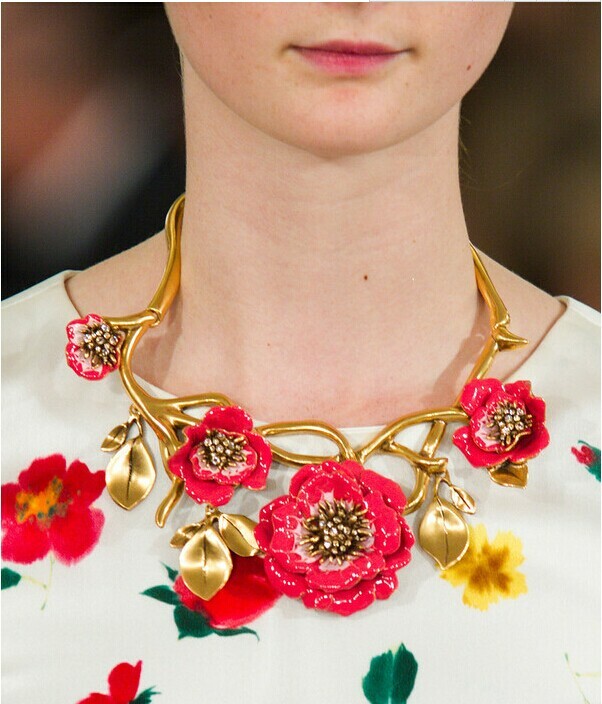 You can see the bold pearl necklaces, earrings here and there on the fashion show 2014. 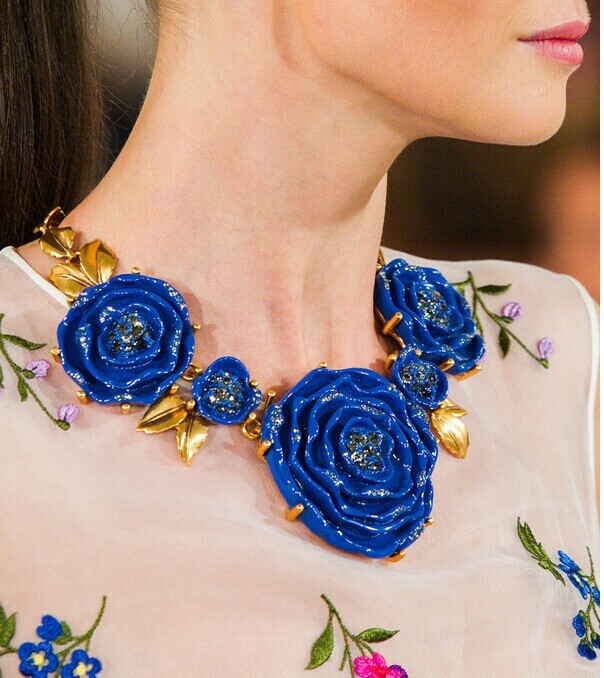 1.Exaggerated, peculiar or colorful jewelry like Flower Statement Choker Necklace is pretty when pair with the plain outfit. 2.Be warned, try to keep your hairstyle simple and clean so as to extrude your jewelry. 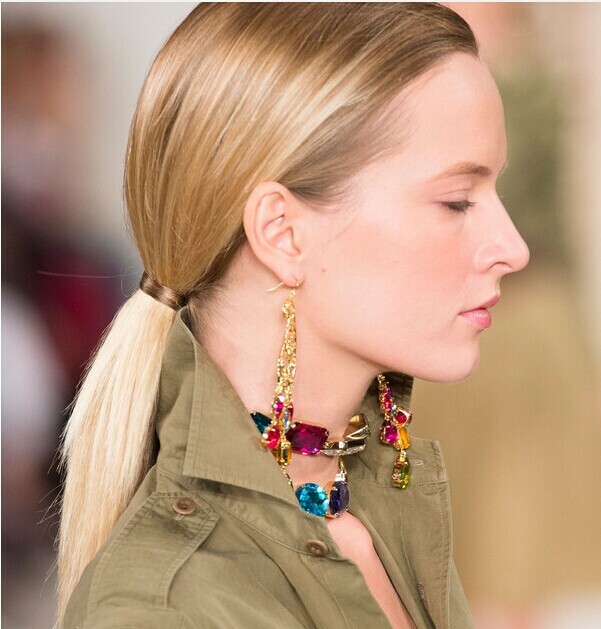 3.Avoid putting the bold earrings together with the inflated necklace, or if you would like to do it, choose the main point, the one is bold and the other one is simple that the previous one. 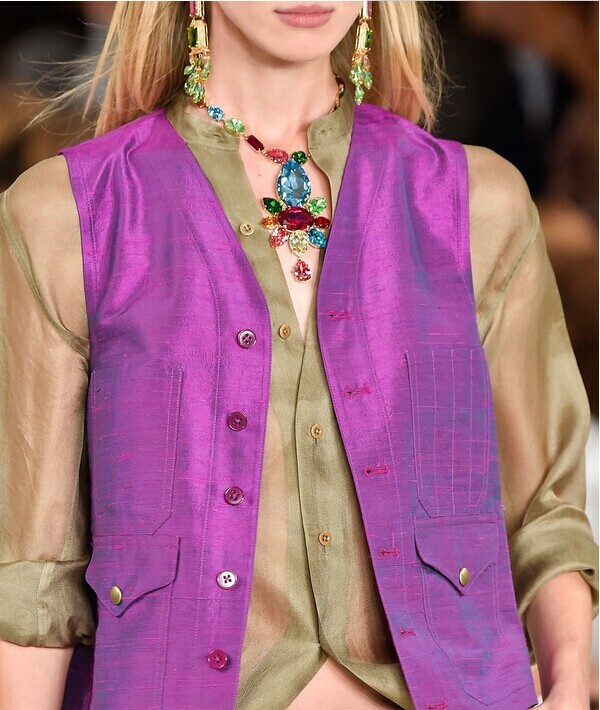 The fur collar added on your necklace is sure to get your invigorated for fall. The luxury, display fur collar is not only able to withstand the cold wind but also makes the finishing point. 1.Match the fur collar with the outfit in the same color system, accent the tuneful effect. 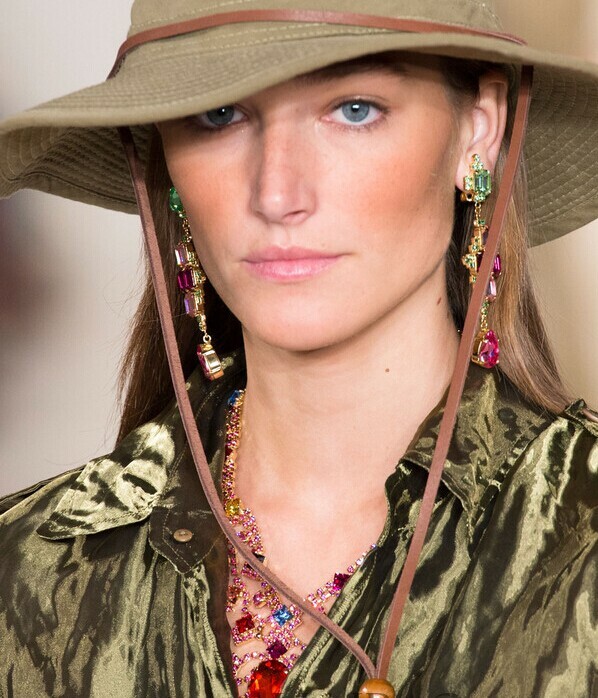 2.Pair the hat or other accessories in the same color system and you are good to go. 3.Wearing the short style fur collar in creative way is able to appear with small and beautiful face.